Is Paul McCartney filming his new music video in Liverpool? . Beatles Radio: The Beatles, Solos, Covers, Birthdays, News The Fab 4 and More! Film crews spotted in Liverpool close to Paul McCartney’s childhood home have sparked rumours that the former Beatles legend is filming his new music video in the city. According to The Liverpool Echo, film crews were spotted in Garston, Liverpool, near the town’s leisure centre which is near to where the Beatles legend grew up. 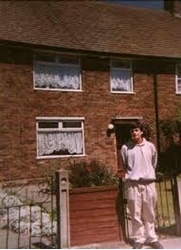 McCartney revisited the area and his childhood home recently as part of an episode of Carpool Karaoke with James Corden. Film crews were also spotted in Liverpool on Inwood Road and Garston Park with shops in the area also being covered up for filming.